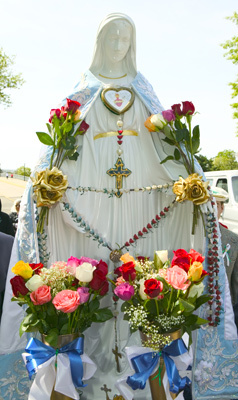 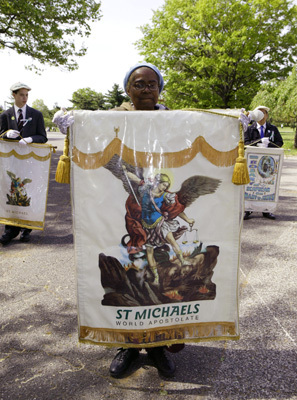 St Michael’s World Apostolate held the Annual May Crowning at Our Lady of the Roses, Mary Help of Mothers Shrine during the Holy Hour for priests. 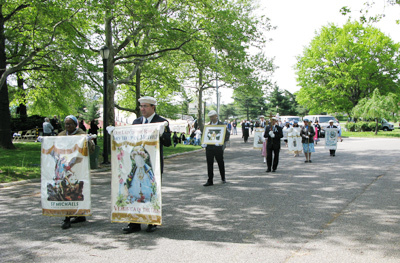 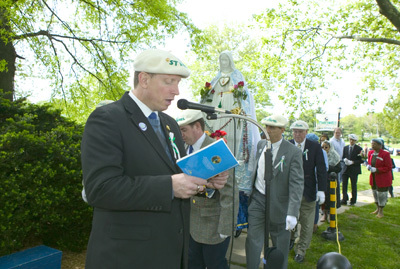 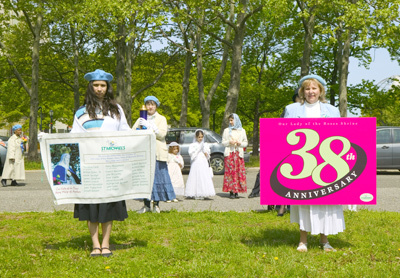 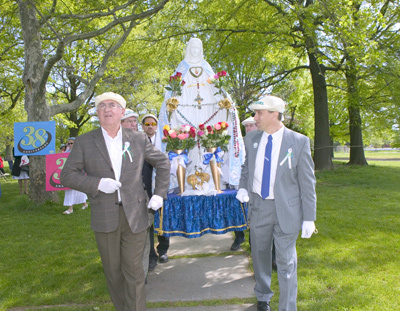 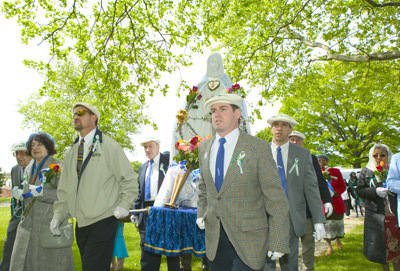 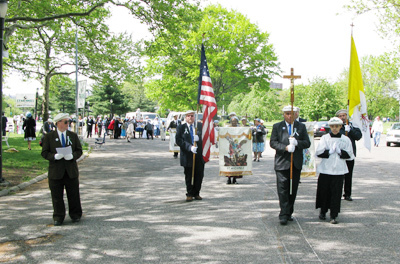 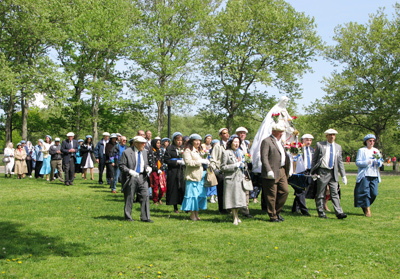 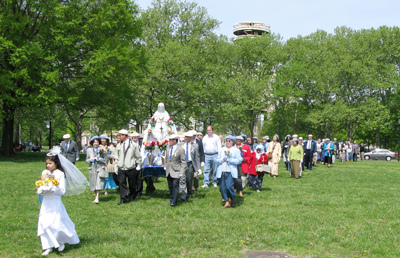 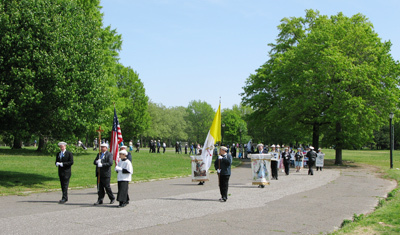 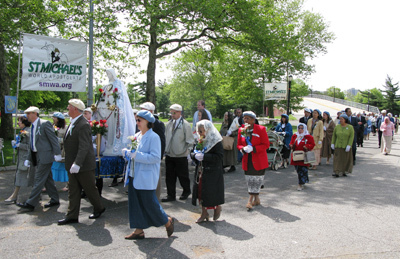 Over 200 pilgrims enjoyed a pleasant, sunny day with the temperature in the 60's. 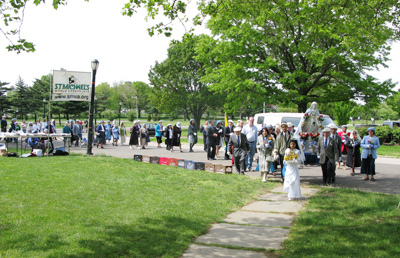 It truly was a memorable and uplifting occasion. 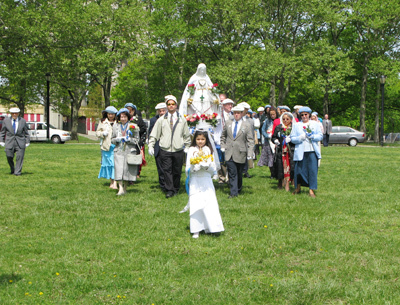 Afterward, over 80 people attended the luncheon at Our Lady's Workshop and enjoyed the camaraderie and good food. 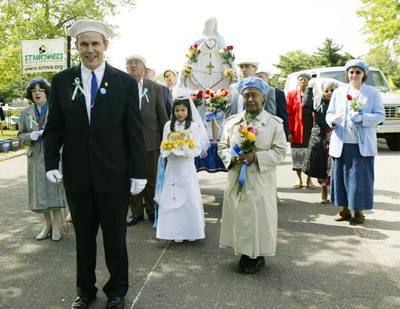 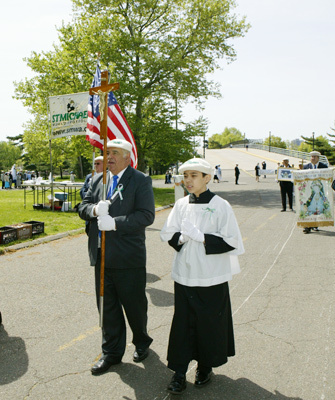 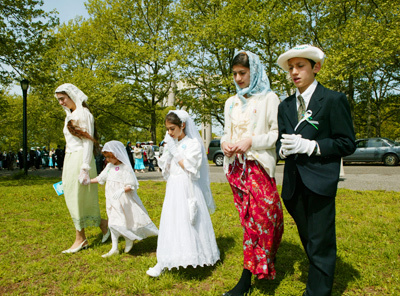 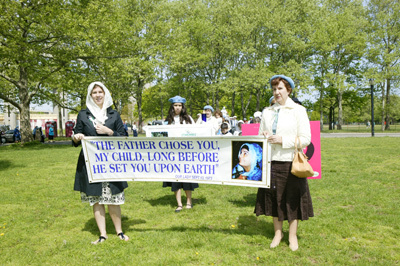 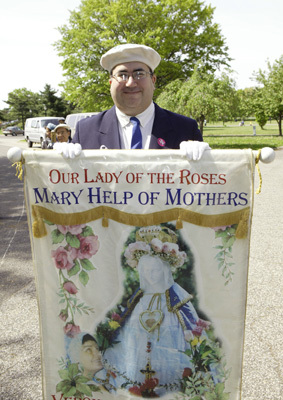 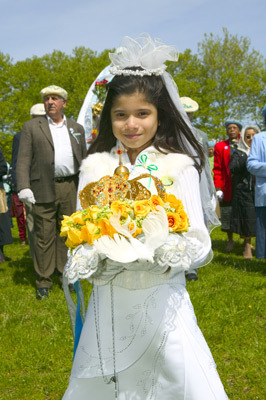 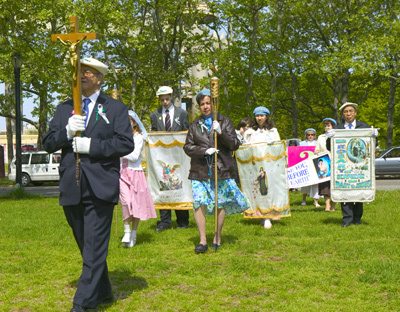 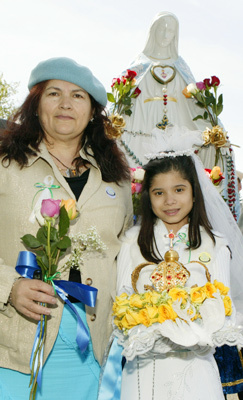 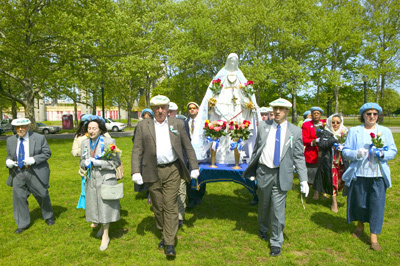 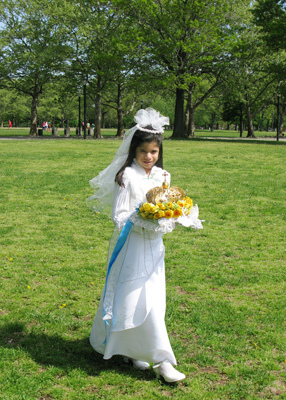 Paola Veliz (r.) 10, of Jersey City, N.J., who crowned Our Lady, with her grandmother, Dahlia Veliz, the Hoboken, N.J. organizer. 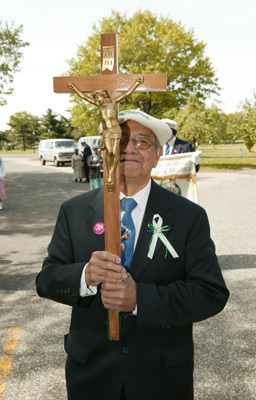 Horacio Cuellar of Jamaica, N.Y.